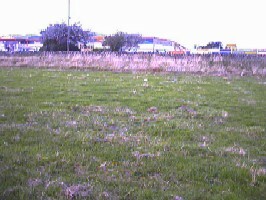 On 15 September 2002 a group of aviation archaeologists accompanied the schoolboy witnesses to the crash, Frank Parsons and his friends, to see if they could locate the site. After four and a half hours of searching no trace of wreckage was found, but Mr Parsons and his friends were positive that the location was correct, and there was even the remains of a crater to be seen as the field had never been ploughed. When the war ended, relatives of some of the 513 Czechoslovak airmen who died whilst serving in the RAF wanted the remains of their loved ones returned to Czechoslovakia for burial. When the practicalities of doing this were investigated Brigadier General Karel Janoušek, Head of the Czechoslovak Air Force in the UK, said it would be too expensive to exhume each body so suggested it would be better to have a symbolic exhumation instead. A sample of soil from each of the airmens’ graves was taken and transported to Czechoslovakia to be placed into new urns before being formally interred. Graves left in the original cemeteries in the United Kingdom would have a standard type of British military headstone. The urns from the British graves of Czechoslovak RAF airmen were moved to Prague. They were then stored in boxes whilst plans for an appropriate memorial were considered. In February 1948 the Communists took control of Czechoslovakia and those who had fought in the West for the freedom of their homeland now found themselves to be victims of persecution. Under this new regime the urns were simply forgotten. On 15 January 1990, during the reconstruction of a National Monument at Vítkov, Prague, workmen discovered boxes which contained the 302 wooden urns. Unfortunately, due to poor storage conditions, 63 of the urns had rotted and their contents had mixed together. The mixed soil was placed in one communal urn. The contents of the remaining 239 urns were placed in new urns. Jindřich Bartoš‘ urn is at the memorial at the Olšanský cemetry in Prague.